Dominic M. Liddell is web developer and entrepreneur living in Chicago, IL. 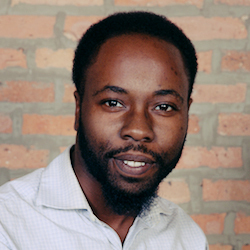 Dominic is also the founder of Coding While Black and works to provide accessible education, job opportunities, and community for black coders. In addition to having worked at Dev Bootcamp, Dominic has taught web development courses to audiences of all ages and continues to provide training and workshops to help beginners get started coding.